When we first met Angela, she was an exuberant, newly engaged bride-to-be, and she was in search of creating the perfect wedding. 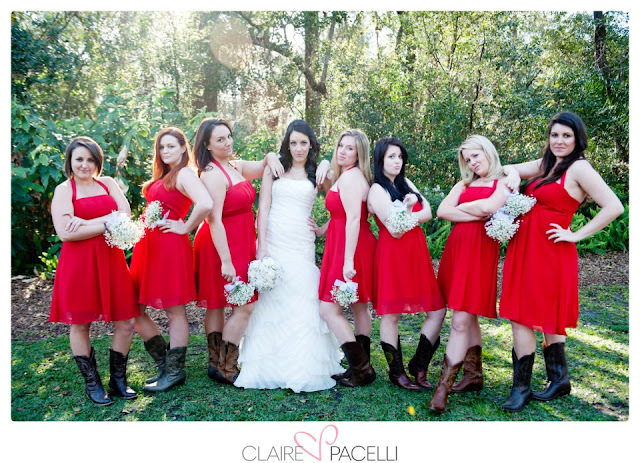 She attended the Central Florida Bridal Association Bridal Show for inspiration. Coincidentally, she was the winner of the grand prize we offered at the show, which included day-of wedding coordination service. She and husband-to-be Brian chose Mead Gardens as their location. 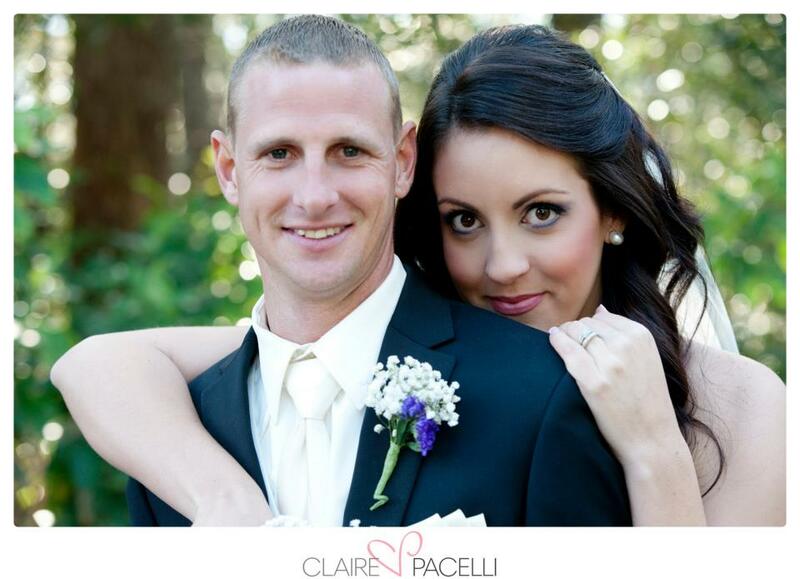 Their wedding was simple, yet beautiful. Fashion and Flower Mart provided the bridesmaids with baby’s breaths bouquets and the flower girl’s crown, but the mother of the bride designed and supplied the bride’s bouquet herself. 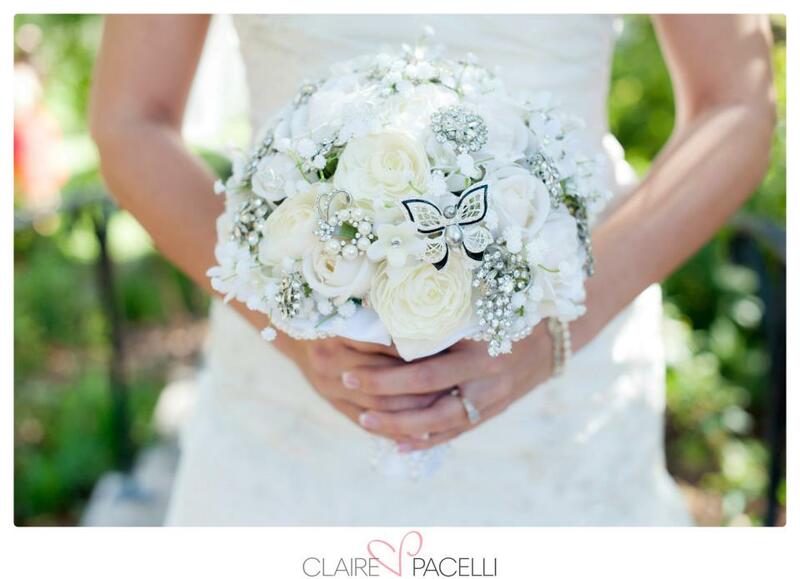 The result was a stunning combination of white roses and crystals. 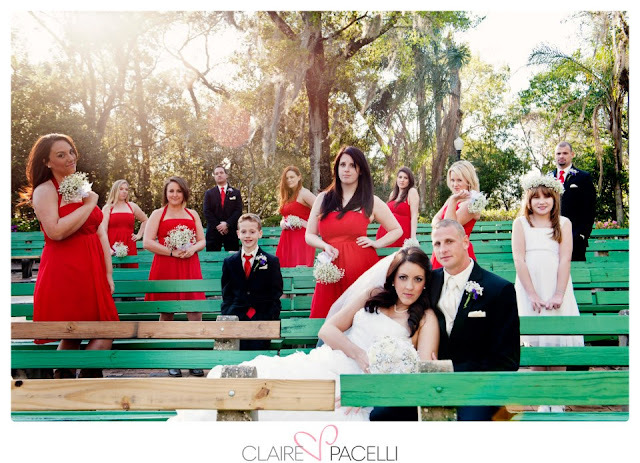 Claire Pacelli Photography used Mead Gardens‘ green benches as a brilliant color combination that magically accentuated the garden’s lush greenery along with a bright contrast to the bridal party’s red dresses. The results were stunning! 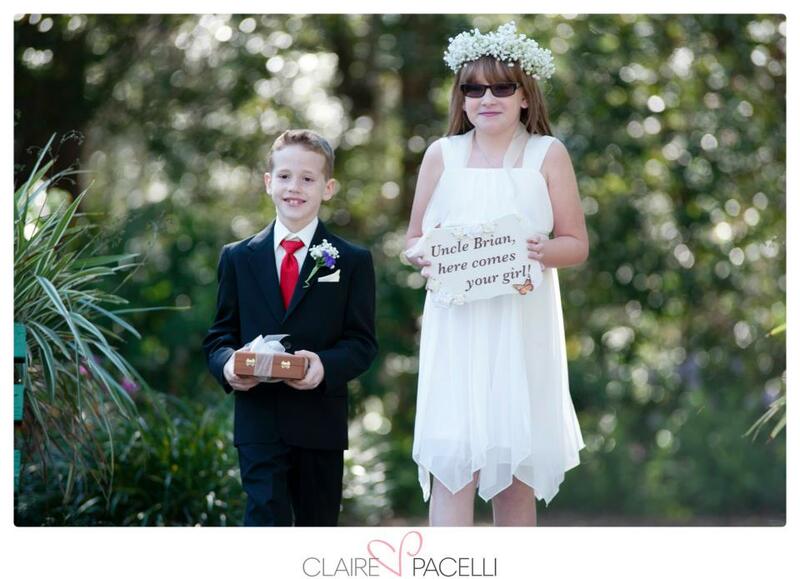 The reception took place in the Winter Park Garden Club and was loads of fun! 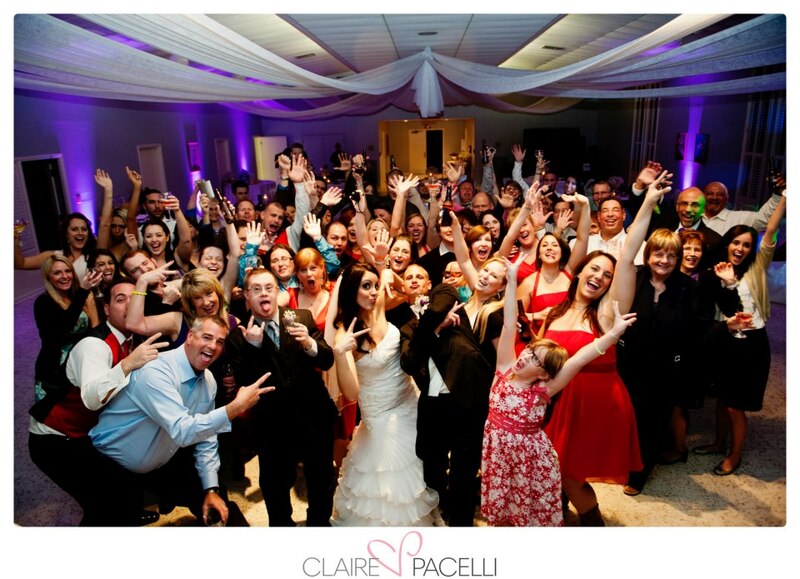 Sapphire Productions‘ DJ played music that kept everyone on the dance floor! We wish this gorgeous couple the best of luck and eternal happiness.